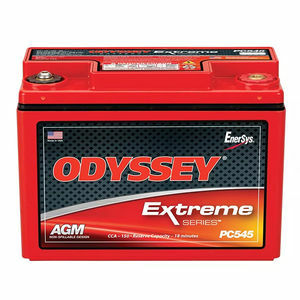 No matter what your line of work, Odyssey batteries are fit for the job. 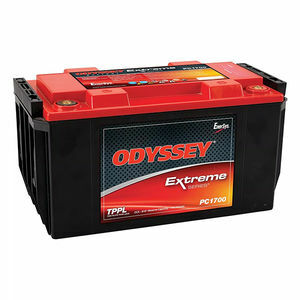 Providing consistently high current levels and the ruggedness associated with military technology these batteries will be sure to impress you. 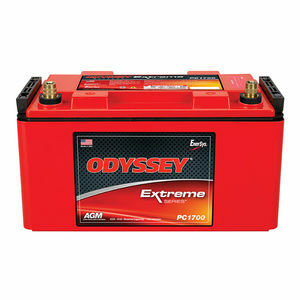 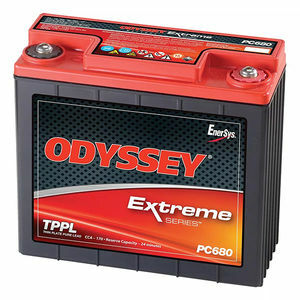 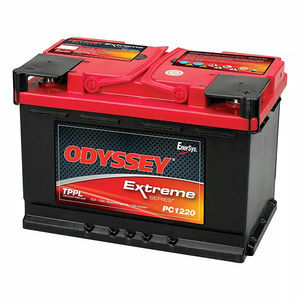 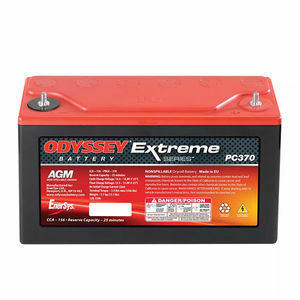 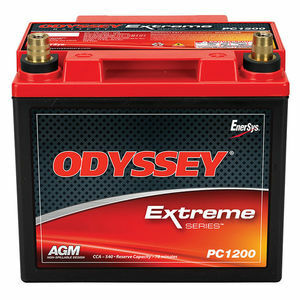 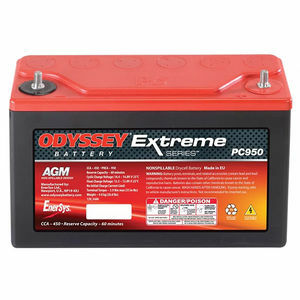 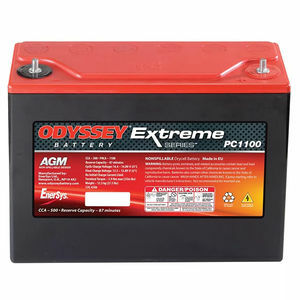 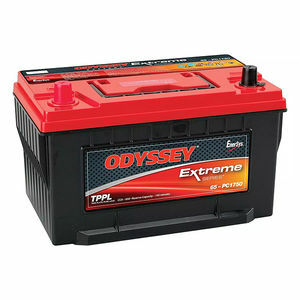 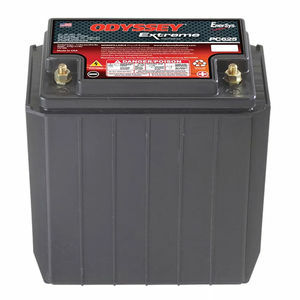 If you need a battery to provide your motor with the power it needs then an Odyssey battery is just the thing for you. 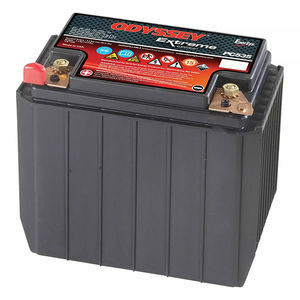 With pulses of 2250 amps for 5 seconds, these batteries will provide you with twice the power of a regular battery; whether you are involved in automotive/LTV, marine or commercial applications, or even racing and powersports these batteries will keep you provided with an abundance of current to suit your needs. 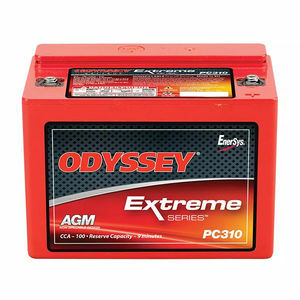 These batteries will serve you well for years to come with their 8-12 year design life (three times the operating life of most regular batteries), and are even covered by warranty for two years in all automotive, commercial and marine applications. 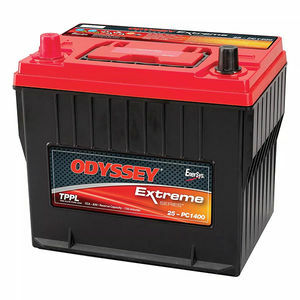 Even at low temperature these batteries will have your engine turning over in no time giving you the confidence of a battery which is fast and efficient whatever the weather outside. 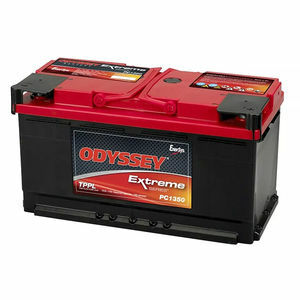 With the simple constant voltage charging feature of these batteries, involving either your vehicle's alternator or an independent charger there will be no limits placed on the inrush current, and so your battery will recover in the blink of an eye. 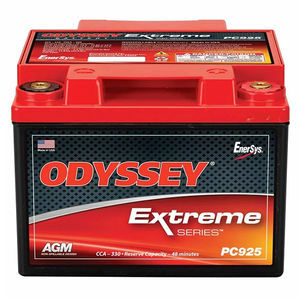 If you need a military grade battery that you know can stand up to the stresses and strains of use in heavy duty machinery, then look no further than Odyssey batteries. 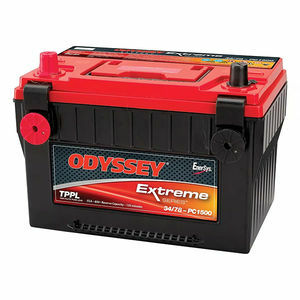 Your battery will will operate with maximum efficiency as long as you don't install it upside down, and you can rest assured that no battery acid can get out with the ingenious gas recycling system present during operation or charging, as well as the absence of the troublesome acid vent tube removing the danger of exposure of personnel or possessions to the dangerous substances within. 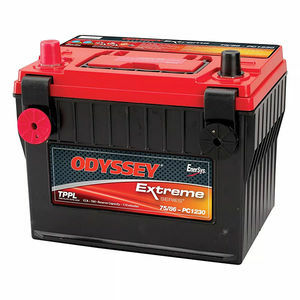 So if you have noticed your machinery having trouble bursting into life in the winter mornings, or are finding that your battery has much less capacity than it used to, it could be time to consider changing to an Odyssey Battery; it will be sure to keep your machinery moving whatever the conditions!